This week Jennifer and Sara are joined by Deb Wills from AllEars.Net. 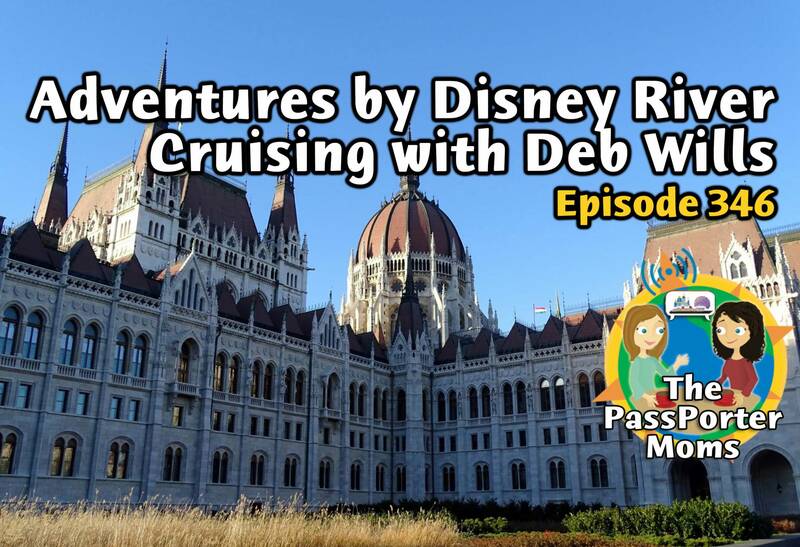 Deb recently returned from an Adventures by Disney Danube River Cruise on the Ama Viola. She will be sharing memories from her journey as well as tips for those considering a river cruise. Plus a peek at PassPorter News, listener celebrations, and more! Megan wrote: "Hi Jennifer and Sara! I had written in with a couple of questions before my recent trip to WDW, but never followed up. I was reminded of this while listening to your episode about Signature Dining! We did an adults trip with my husband's side of the family, staying for over a week at Bay Lake Tower had some phenomenal dining experiences during our May trip - one of which was my first trip to Narcoosees! I had a fantastic scallop pasta, which I can't recommend more highly. My husband meanwhile is a very picky eater and didn't want the vegetables on the side of his steak, joking (sort of) that he'd rather have fries. Embarrassed, I said, I'm sure they don't have fries somewhere like this, so he just asked for double mashed potatoes which the server agreed they could do. Well, much to our surprise, in a small moment of Disney magic, when the server brought out our food, she brought my husband's steak with a side of mashed potatoes (the best he says he's ever had by the way!) AND a side of fries! She didn't tell him she was doing it, she just made it happen. Anyway, I could go on and on about the wonders of Disney magic on our trip, but needless to say, this 2nd trip in 3 years has stoked our love for Disney even further, and I wanted to thank you both for all your excellent trip planning advice. I don't have a trip on the horizon, but in the meantime, I'll keep listening to your podcast and dreaming of the next one. Thanks again and keep up the great work!"